← Happy Easter and Passover Weekend! Have You Been to Great News! in Pacific Beach Yet?? In addition to being a great store, it supports great causes. Great News! 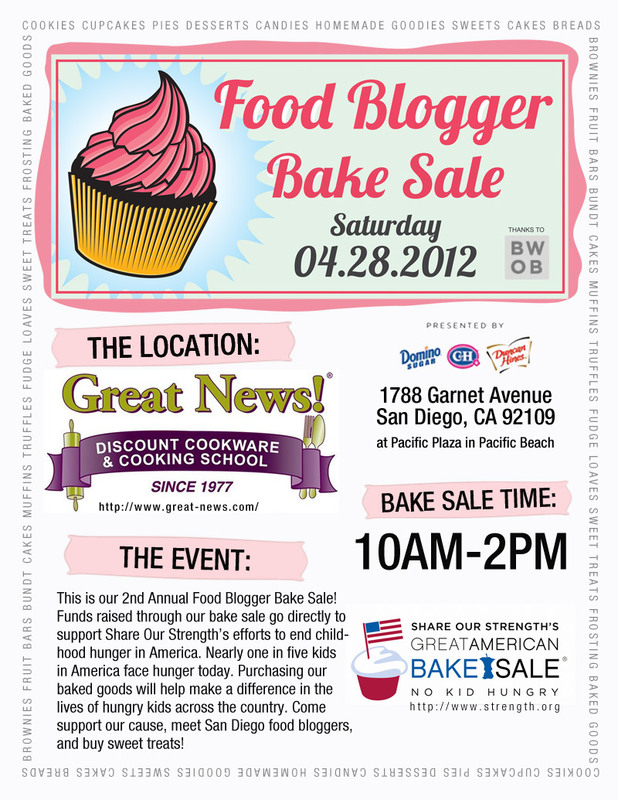 is hosting the Food Blogger Bake Sale on Saturday, April 28th. Proceeds will go to Share Our Strength (http://www.strength.org/), an organization with the goal to end childhood hunger. If you buy a little something at the bake sale (or a lot of something! ), you will get a $5 off coupon to use in the store! Woohoo! Please pass the word to everyone you know and help make this an awesome event! Unfortunately, I can’t attend the sale, but my dessert will be there – that’s much more important!! So go and buy my stuff! !